When Quitian moved to Austin from Colombia, he wasn’t planning on getting into the food business. 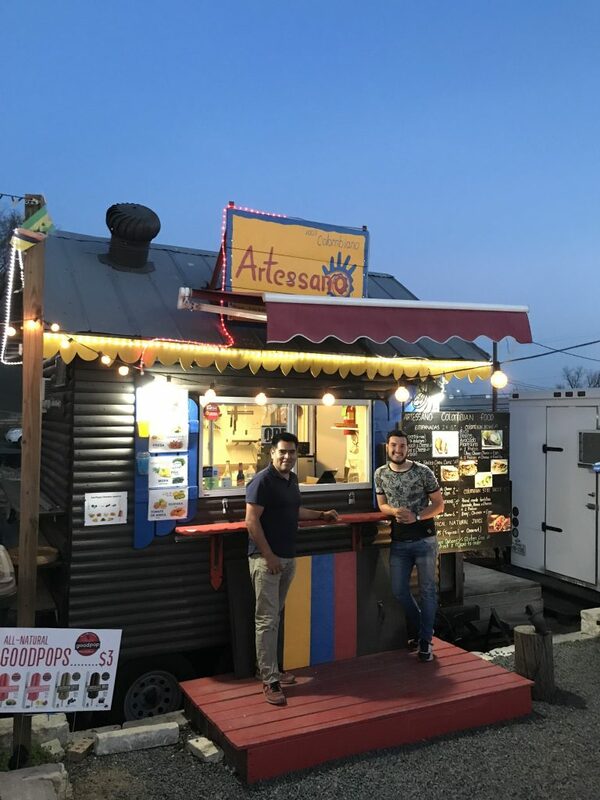 But when he couldn’t find the authentic Colombian food he craved, he decided to scratch his own itch and share the tastes of his homeland with Austin. Artessano opened on 11th Street in November 2014 and business picked up quickly. Two years later, Quitian found a lot on East Sixth Street, where the trailer currently sits. The lot, aptly named Pangea Lounge for its worldly offerings, also houses Thai, Indian, and Mediterranean food trailers. Quitian has big plans for Pangea Lounge, including live bands, DJs, and yoga classes. While I was there, Latin music pumped through speakers, setting the stage for learning about Artessano’s Colombian food. The name Artessano, which translates to “craftsman” in English, is a concept that guides Quitian’s food creation. 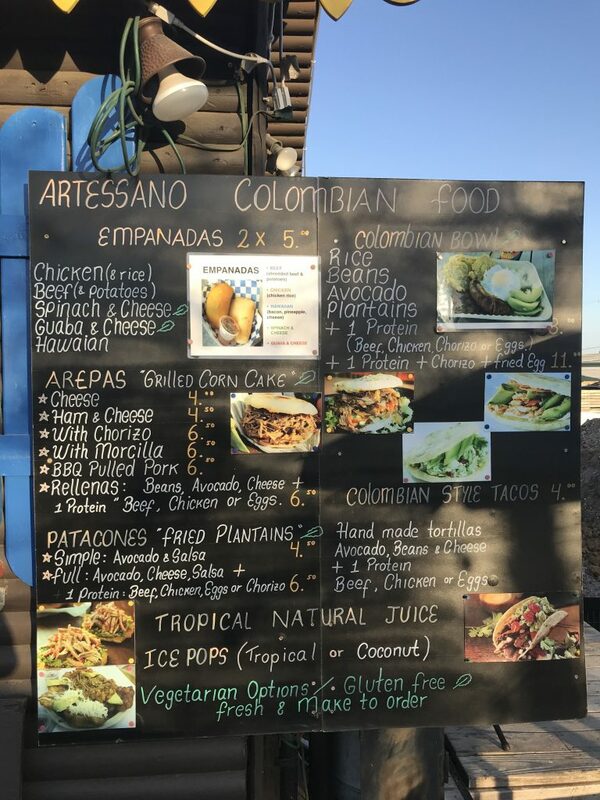 Artessano takes on even more meaning, considering the word is a combination of “art” and “sano,” which translates to “healthy.” Everything here is handmade, right down to the butchering of the meat. “We think of cooking as an art,” Quitian told me. I saw what he meant when the colorful Colombian bowl arrived. 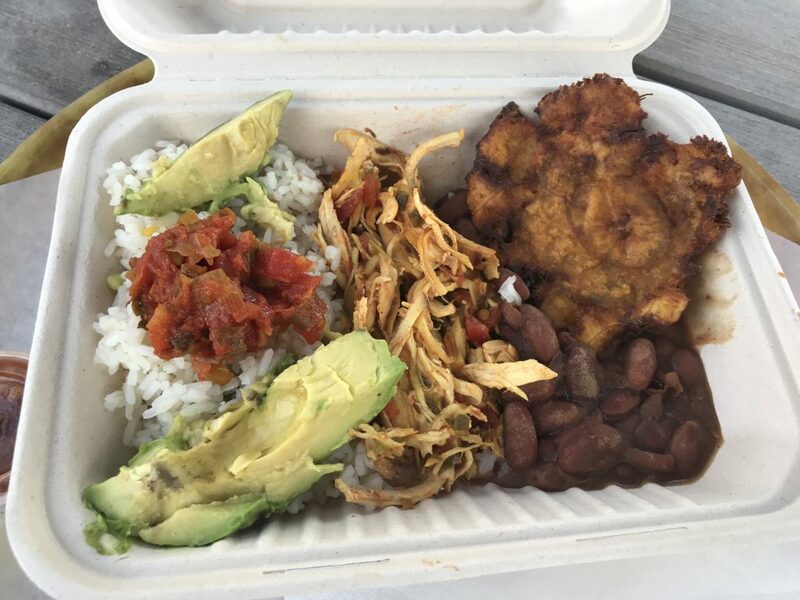 The dish was served with rice, beans, avocado, a plantain, and a protein. The presentation was beautiful and everything tasted as fresh as I expected. My personal favorites were the handmade empanadas. The first one I tasted was filled with flavorful beef and potatoes, wrapped in a flaky shell. The Hawaiian empanada was filled with gooey cheese and pineapple. The cheese and sweetness played off the other to startling effect. Other empanada options include chicken and rice, guava and cheese, and spinach and cheese. The arepa rellana was massive! And for $6.50, it was quite the bargain. The outside that holds it all together—a grilled corn cake cooked with cheese—could be a dish on its own. Inside were beans, avocado, cheese, and a choice of protein. The most popular is beef, and for good reason. It was a messy meal of goodness! Okay, so not everything is authentic Colombian. I think all of us taco lovers can agree to give Artessano a pass on that! Don’t forget to try the tropical fruit juices if you want to end your visit on a sweet note. It’s no surprise, but these fruits are also shipped from Colombia for your sipping pleasure. 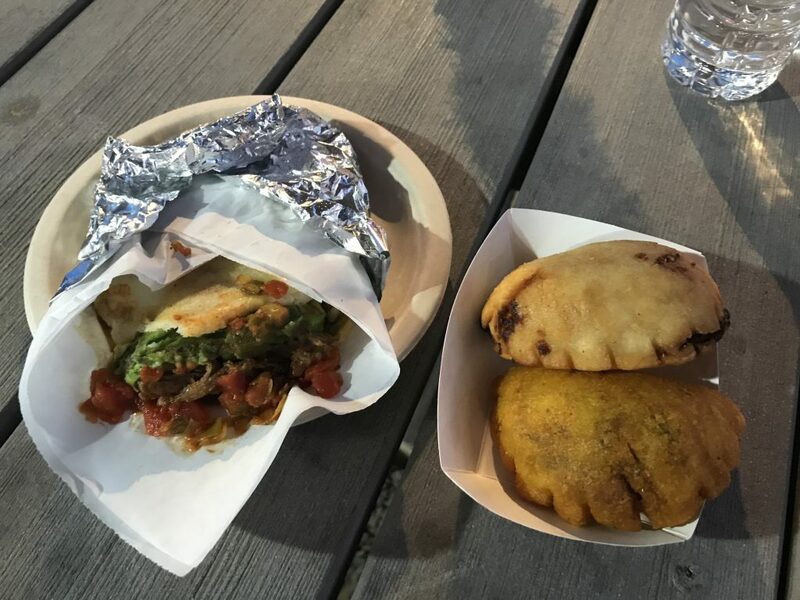 Feeding the food truck-lovers of Austin is an accomplishment in itself, but Quitian has an even greater mission in mind. It’s called “Ralaismo Magico.” This is a concept Colombians hold dear, and that Quitian wants to share. It describes their culture with good food and great people. “I want to show people the positive things about Colombia,” he said. With food and atmosphere like this, and a focus on authenticity, Quitian is doing just that. Mission accomplished. Have you tried food from Pangea Lounge in east Austin?